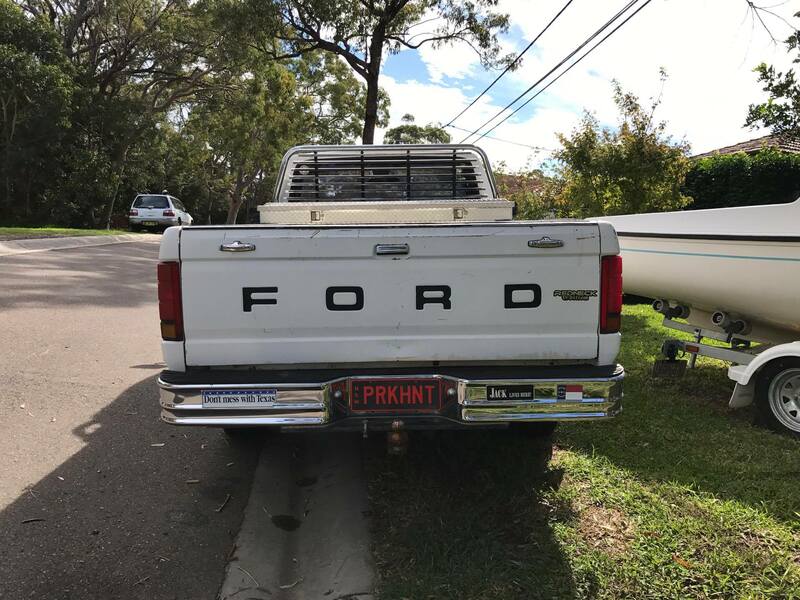 All original Ford F150 (1989). Looks like they should. 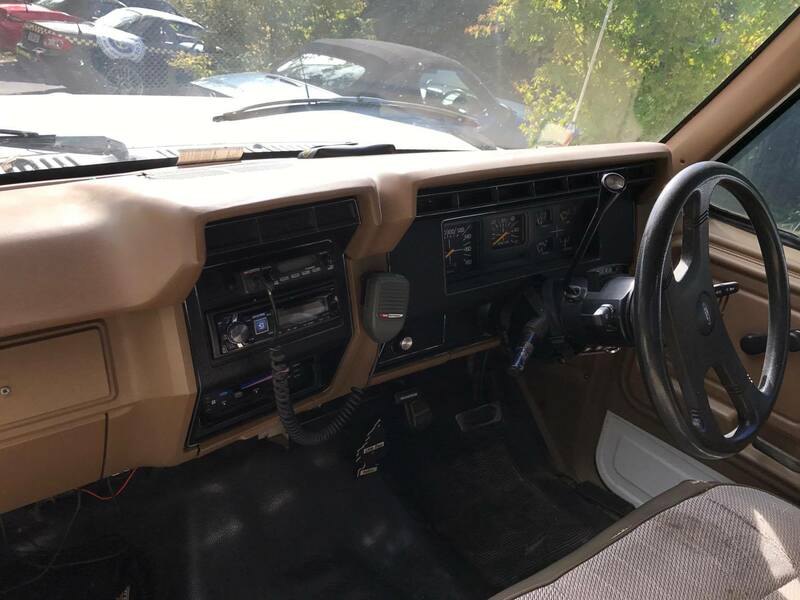 Has signs of use and would suit any production that needs an old American Truck. Fully functioning lights, doors, windows, etc. Single Cab. 5L V8. Tool Box. 8ft Bed. 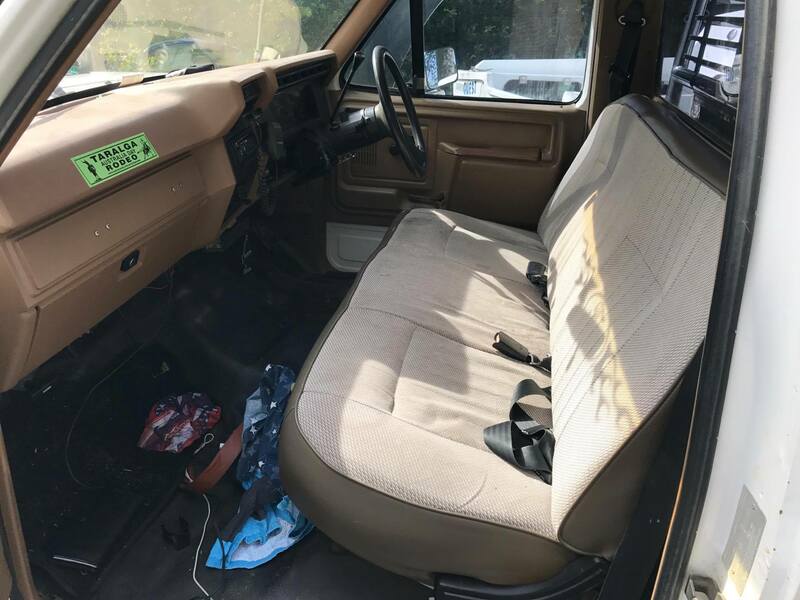 All original Mirror, Lights, Seat Material, wheels, etc. Still running on pure petrol (no gas conversion). Has that original V8 engine sound. Has been used in a production before as a ‘stolen truck’. In complete original condition, with no modifications made (excluding radio headset). 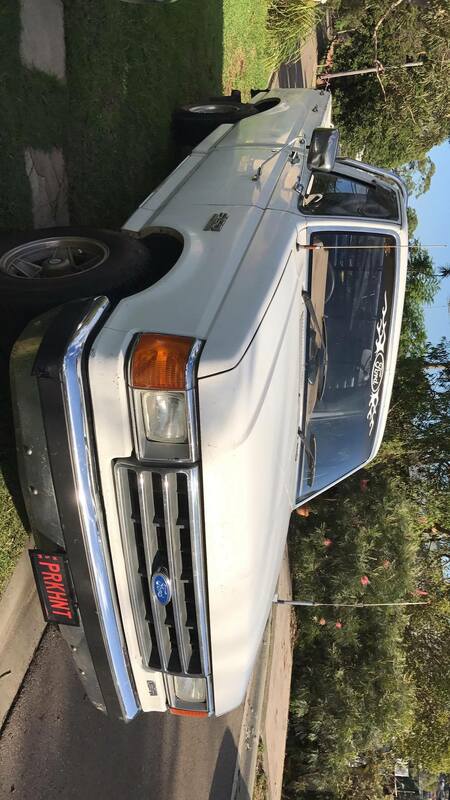 Spent most of it’s life in Albury NSW working as a farm truck since being imported from the USA. RHD conversion done upon import, have been no issues with this. Has some stickers (which can be removed for filming). Located in the Sutherland Shire but able to be driven to set/location. Can hire out for an extended period of time if needed as it is not my daily driver. The vehicle is RHD but easily fixed by reversing the image if needed for context of film.